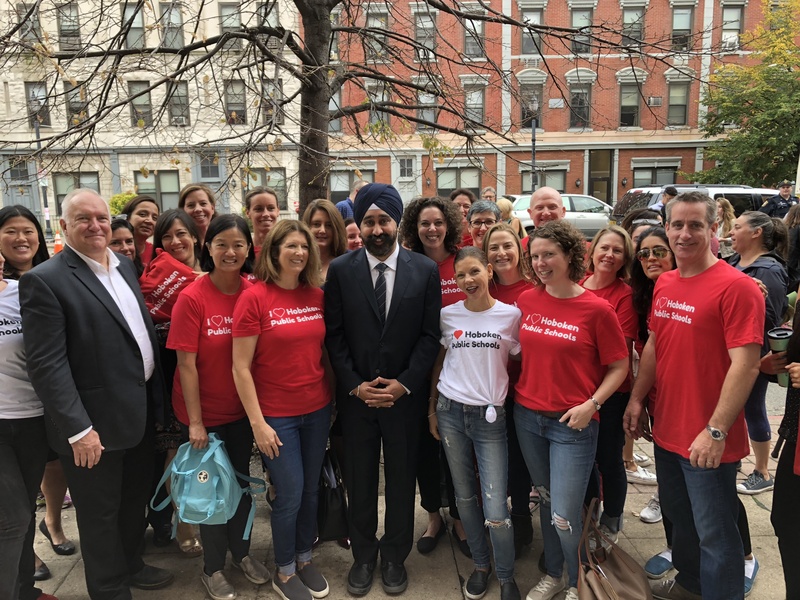 Hoboken Mayor Ravi S. Bhalla announced on Tuesday an agreement with the City of Hoboken and KMS Development Partners regarding plans to develop a hotel in Hoboken. As part of the agreement, KMS Development Partners will make $4.5 million investments into the Hoboken community and have committed to various pro-Hoboken staffing and operational priorities. Community givebacks include $1 million in road and infrastructure upgrades, a $1 million endowment for the Hoboken Public Education Foundation to support the public school system, $100,000 to each of Hoboken’s three charter Schools, $200,000 for the Affordable Housing Trust Fund, and $2 million to go towards revitalizing the Hoboken Community Center. 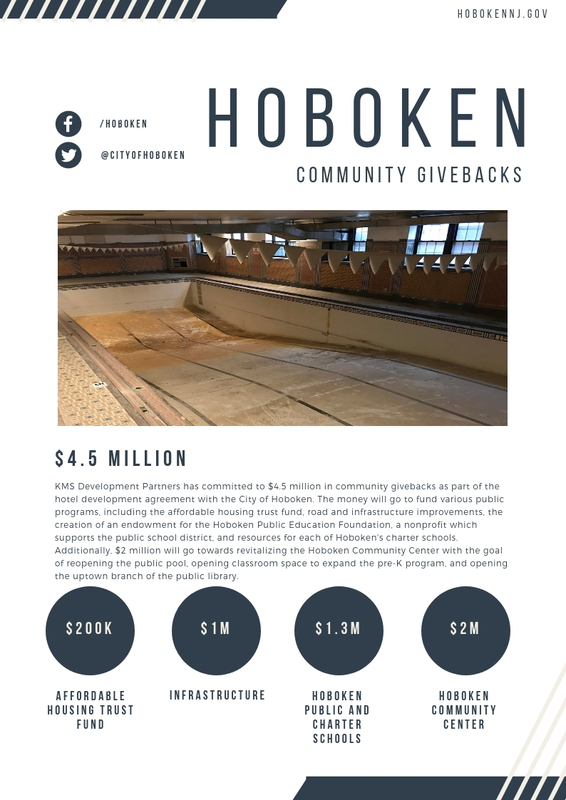 The vision for the Center includes re-opening the public pool and providing space to expand the district’s pre-K program, which currently has a wait list, and open the uptown branch of the Hoboken Public Library. 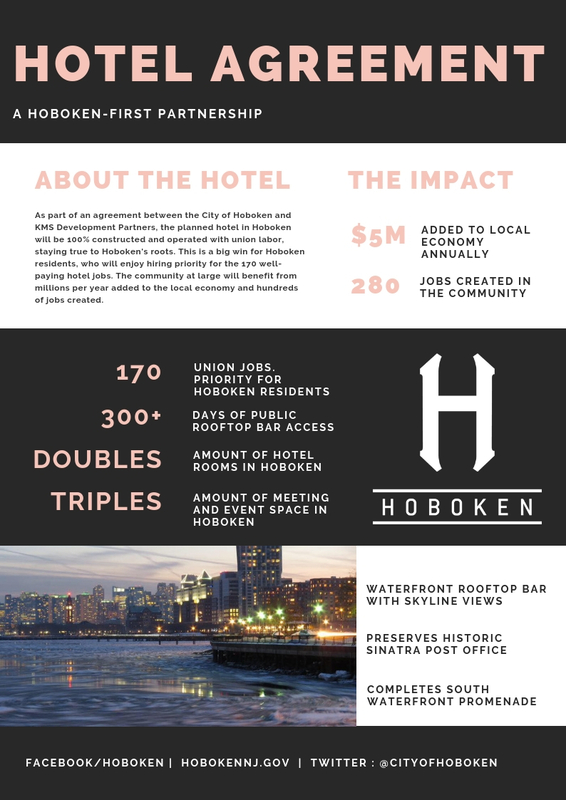 Furthermore, all hotel jobs, from construction to operation, will be union jobs with Hoboken residents receiving hiring preference. The hotel is projected to employ about 170 people, once operational, create an additional 280 jobs in the community, and add $5 million to the local economy per year. Additionally, the rooftop bar, with views of the Manhattan skyline, will be open to the public no less than 300 days per year. The agreement will now go before the Hoboken City Council for approval on October 17.